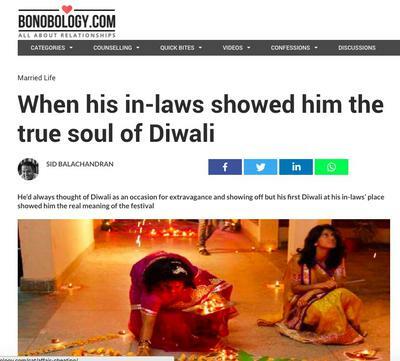 But it's our first Diwali. Her usually mellow tone altered. The conversation ended with me booking premium priced air tickets to India. Actually, I wasn't too keen. For starters, I grew up outside India. Second, being from Kerala, we didn't celebrate it with as much pomp and splendour as we did Onam or Vishu. Besides, my wife is from a rather conservative Tam-Bram family in Chennai. I was not a Tam-Bram, and therefore unfamiliar with their customs and rituals. 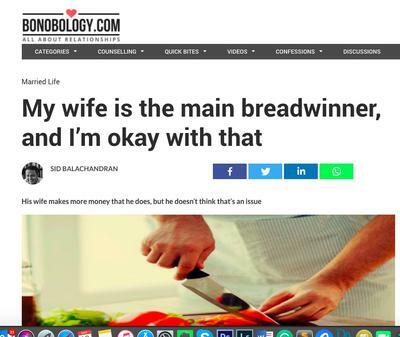 Despite having similar academic degrees and almost the same amount of work experience, I am honoured to loudly state for the record that for as long as I can remember, my wife has always earned more money than I have. And except for the fact that I've had to occasionally take loans from her, it hasn't perturbed me one bit. And yes, we are fiercely loyal and committed to each other. Except for when we are dreaming about some of our celebrity crushes, perhaps. 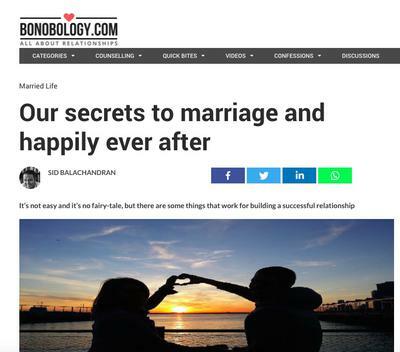 My wife and I have been married for almost 8 years now, and were in a committed relationship with each other for about 7 before that. I mentioned this to one of my friends the other day, and she almost immediately said, 'Wow! Your marriage should be my relationship goal. You are both so happy and perfect for each other. And I don't think I've ever seen you argue.' I almost chuckled as I heard this. When we fell pregnant, we were ecstatic. But deep down, we also knew that our lives would change. So, over the course of the pregnancy, my wife and I started to prepare ourselves for the changes. We were going to be the best parents in the history of parenting and of course, still remain sane, fresh and have a marriage that would make everyone envious. It took our newborn less than a week to destroy all our plans, ideals and goals.